EXTREMELY fancy TUF N BUSY granddaughter! This filly is as structurally correct as they come, with a baby doll head and HUGE hip! 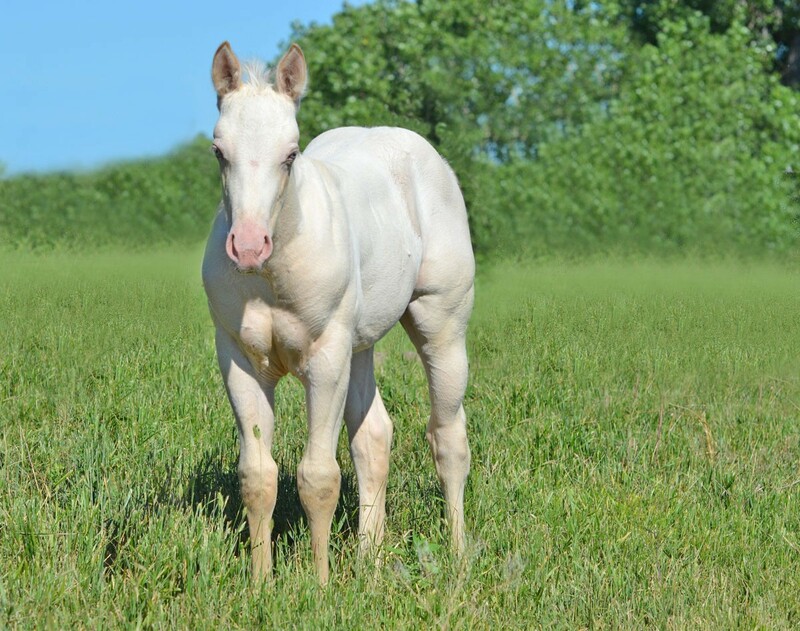 She is a unique Amber Cream Champagne like her sire, a grandson of Nu Chex To Cash! He is also shown, check out his bone! Her dam is a gorgeous, dark brown OWN daughter of Tuf N Busy (see picture). Her eyes will be an amber/hazel color. Half down holds until weaning in September, and she can be fully insured for a very reasonable price. Both parents are 15+ hands and 5 panel N/N. Visit our website www.Hopen6.com or email chadandmindy13@gmail.com for more info!